Finding examples of intelligent life other than our own in the Universe is hard work. Between spending decades listening to space for signs of radio traffic – which is what the good people at the SETI Institute have been doing – and waiting for the day when it is possible to send spacecraft to neighboring star systems, there simply haven’t been a lot of options for finding extra-terrestrials. But in recent years, efforts have begun to simplify the search for intelligent life. Thanks to the efforts of groups like the Breakthrough Foundation, it may be possible in the coming years to send “nanoscraft” on interstellar voyages using laser-driven propulsion. But just as significant is the fact that developments like these may also make it easier for us to detect extra-terrestrials that are trying to find us. Not long ago, Breakthrough Initiatives made headlines when they announced that luminaries like Stephen Hawking and Mark Zuckerberg were backing their plan to send a tiny spacecraft to Alpha Centauri. 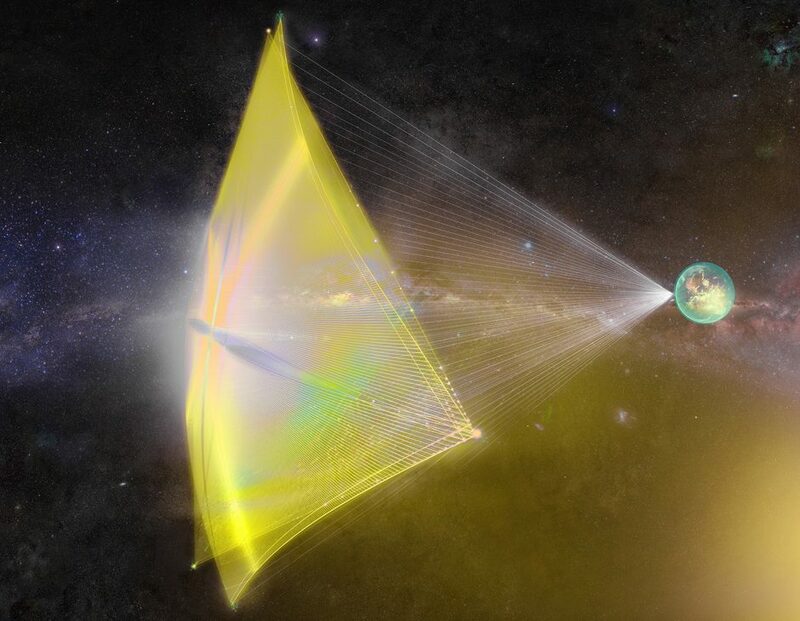 Known as Breakthrough Starshot, this plan involved a refrigerator-sized magnet being towed by a laser sail, which would be pushed by a ground-based laser array to speeds fast enough to reach Alpha Centauri in about 20 years. In addition to offering a possible interstellar space mission that could reach another star in our lifetime, projects like this have the added benefit of letting us broadcast our presence to the rest of the Universe. Such is the argument put forward by Philip Lubin, a professor at the University of California, Santa Barbara, and the brains behind Starshot. DE-STAR, or the Directed Energy System for Targeting of Asteroids and exploRation, is another project being developed by scientists at UCSB. This proposed system will use lasers to target and deflect asteroids, comets, and other Near-Earth Objects (NEOs). Along with the Directed Energy Propulsion for Interstellar Exploration (DEEP-IN), a NASA-backed UCSB project that is based on Lubin’s directed-energy concept, they represent some of the most ambitious directed-energy concepts currently being pursued. Using these as a template, Lubin believes that other species in the Universe could be using this same kind of directed energy (DE) systems for the same purposes – i.e. propulsion, planetary defense, scanning, power beaming, and communications. And by using a rather modest search strategy, he and colleagues propose observing nearby star and planetary systems to see if there are any signs of civilizations that possess this technology. According to Lubin, this represents a major departure from what projects like SETI have been doing during the last few decades. These efforts, which can be classified as “passive” were understandable in the past, owing to our limited means and the challenges in sending out messages ourselves. For one, the distances involved in interstellar communication are incredibly vast. Even using DE, which moves at the speed of light, it would still take a message over 4 years to reach the nearest star, 1000 years to reach the Kepler planets, and 2 million years to the nearest galaxy (Andromeda). So aside from the nearest stars, these time scales are far beyond a human lifetime; and by the time the message arrived, far better means of communication would have evolved. 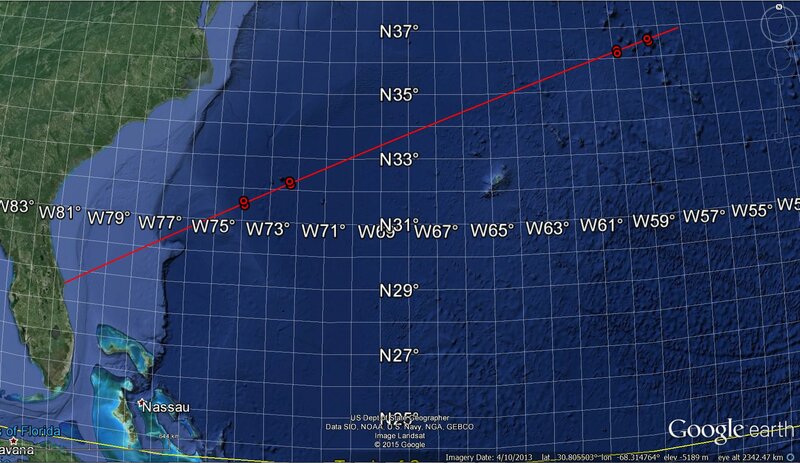 Second, there is also the issue of the targets being in motion over the vast timescales involved. All stars have a transverse velocity relative to our line of sight, which means that any star system or planet targeted with a burst of laser communication would have moved by the time the beam arrived. So by adopting a pro-active approach, which involves looking for specific kinds of behavior, we could bolster our efforts to find intelligent life on distant exoplanets. In other words, assuming that aliens are using technology similar to our own is potentially anthropocentric. However, when it comes to space exploration and finding other intelligent species, we have to work with what we have and what we know. And as it stands, humanity is the only example of a space-faring civilization known to us. As such, we can hardly be faulted for projecting ourselves out there. Here’s hoping ET is out there, and relies on energy beaming to get things done. And, fingers crossed, here’s hoping they aren’t too shy about being noticed! Special Guest: This week we welcome Dr. Bradley M. Peterson, whose research is directed towards determination of the physical nature of active galactic nuclei.